How are tropical storms named? 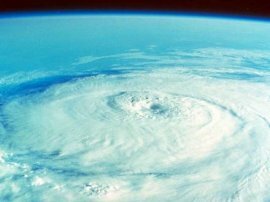 How do Tropical Storms occur? What is the structure of a Tropical Storm? How can we reduce the impact? Links to latest news on Tropical Storms can be found on our sister site Geography Newsroom . A Tropical Storms are also known as Hurricanes (Atlantic), Tropical Cyclones (South East Asia), Willy Willies (Australia) and Typhoons (Pacific). Tropical Storms are areas of extreme low pressure. This means air is rising, causing 'low pressure' on the earth's surface. The maximum sustained surface wind speed (using the U.S. 1-minute average) ranges from 34 knots (39 mph or 63 kph) to 63 knots (73 mph or 118 kph). Hurricanes are classified into five categories based on their wind speed, central pressure, and damage potential (see below). All tropical storms are given names so they can be identified and tracked as they move over oceans. In 1979, both women and men's names were used. One name for each letter of the alphabet is selected, except for Q, U and Z. For Atlantic Ocean hurricanes, the names may be French, Spanish or English, since these are the major languages bordering the Atlantic Ocean where the storm occur. The World Meteorological Organization uses six lists in rotation. If the tropical storm is particularly deadly or costly the name is retired and a new one is chosen. Further information on these names and tropical storms in other parts of the world can be found on the National Hurricane Centre web site. As the air rises it cools then condenses, forming clouds. Air around the weather system rushes in to fill the gap caused by the rising air. The air begins to spiral. This is caused by the spinning movement of the earth. The weather system generates heat which powers the storm, causing wind speeds to increase. This causes the Tropical Storm to sustain itself. Tropical storms rely on plenty of warm, moist air from the sea - this is why they die out over land. The central part of the tropical storm is known as the eye. The eye is usually between 30-50km across. It is an area of calm, with light winds and no rain. It contains descending air. Large cumulonimbus clouds surround the eye. These are caused by moist air condensing as it rises. Wind speeds average 160km per hour around the eye. The National Hurricane Centre provides advice about how to prepare for a tropical storm. 1. Hurricane Katrina - America's costliest hurricane. For more information on current hurricanes visit the US National Hurricane Centre website.